Entertaining audiences since 1993, the Swing Serenade Dance Band features Houston’s most innovative and skilled musicians in an electrifying live musical stage show. Swing Serenade Dance Band presents an exhilarating array of styles including big-band swing, classical, rock, disco, pop, Motown, R & B, jazz and Top 40. You can count on Swing Serenade as your complete resource for complex event planning needs. With superb musical arrangements, designed to delight even the most discerning listener, the group’s authentic renditions of the original artists assures that your dance floor will be filled with joyous celebrants. 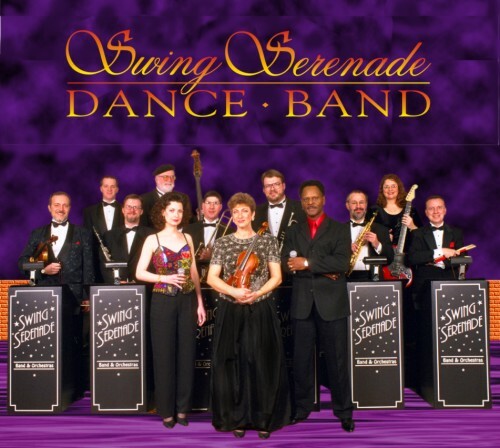 The Swing Serenade Dance Orchestra offers the highest quality musical entertainment available anywhere. We promise to help make your special event a grand success.